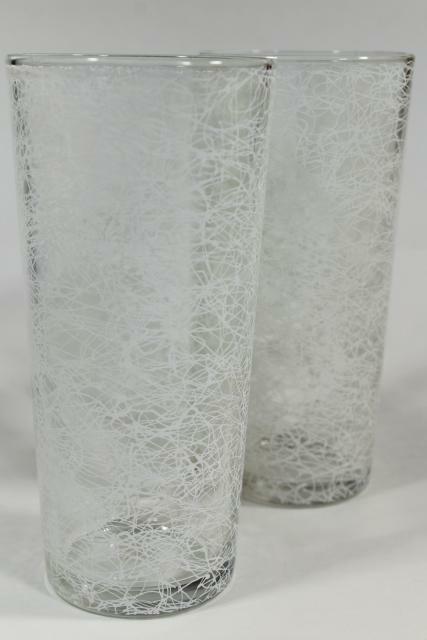 Big 'cooler' glasses, about 6 1/2" tall, nice heavy glass to keep your summer time drinks cold. 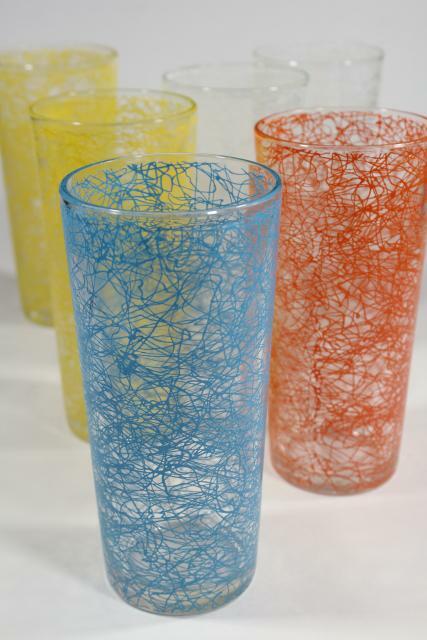 These hold a 12 oz can full with a little room for ice besides! 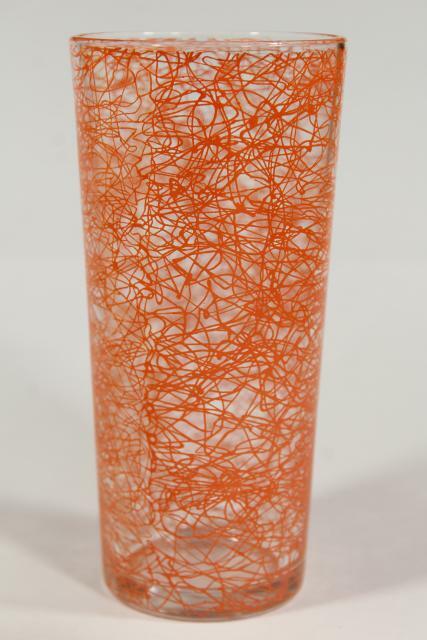 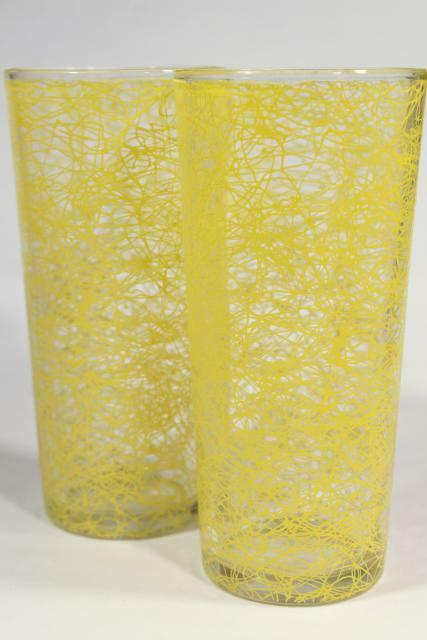 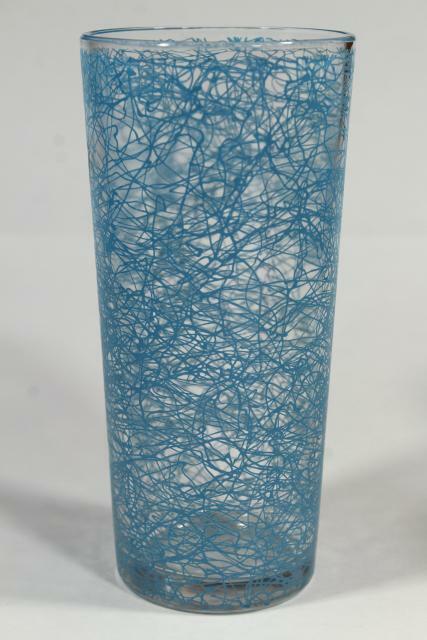 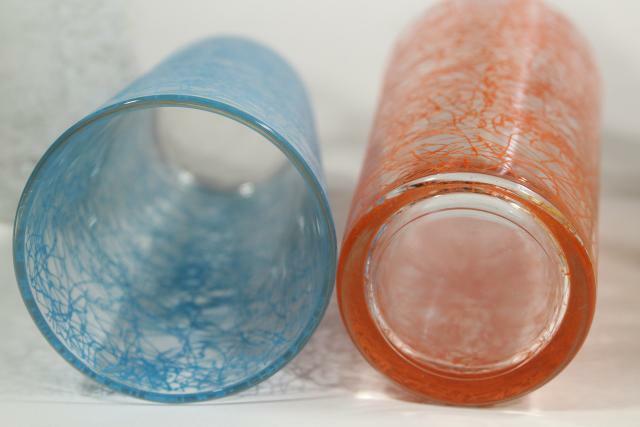 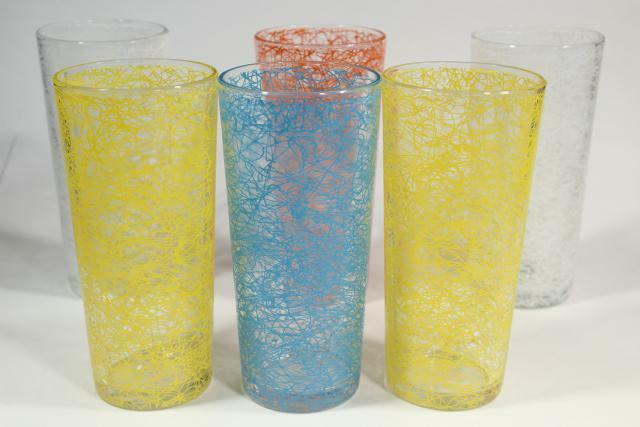 These are mid-century vintage, with retro silly string squiggle pattern in different colors as shown (two yellow, two white, one blue, one orange) six glasses in all. 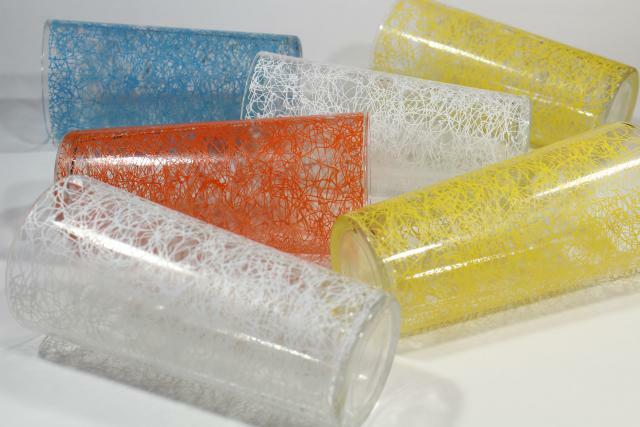 The whole set is in very good condition without damage, fading or wear.